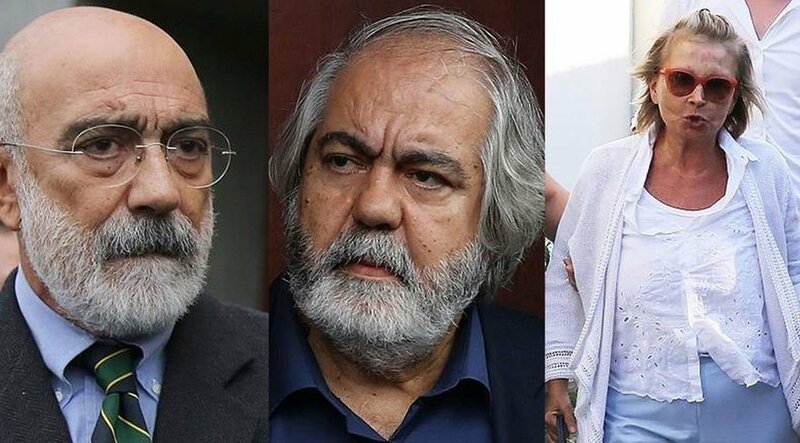 A total of 17 suspects including journalists Nazlı Ilıcak, Ahmet Altan and his brother Mehmet Altan appeared before the court on Tuesday for the second hearing of the trial, Cumhuriyet daily reported. The suspects, who are being held as part of an investigation into the Gülen movement, which the government accuses of masterminding a failed coup on July, 2016, are accused of attempting to overthrow the constitutional order, the Turkish government and the Turkish Parliament. Ilıcak, who worked for Bugün daily as a columnist, said in her defense that she was not presented any concrete evidence as to how she supported and planned the coup attempt. “We, journalists cannot be judged based on our articles which do not constitute a crime. Which is the sentence claimed to be ‘evoking the coup’ by the prosecutor? He is not indicating any specific sentence. He is speaking in general terms. When did I praise the coup?” asked Ilıcak in her defense. An indictment drafted by the İstanbul Chief Public Prosecutor’s Office seeks three consecutive life sentences for 17 people: former Zaman daily CEO Ekrem Dumanlı, former Today’s Zaman Editor-in-Chief Bülent Keneş, Samanyolu TV Washington representative Şemsettin Efe, Zaman daily journalist Abdülkerim Balcı, former deputy editor-in-chief of Zaman Mehmet Kamış, Zaman executive Faruk Kardıç, Zaman daily design director Fevzi Yazıcı, Zaman brand manager Yakup Şimşek, Zaman culture and arts editor Ali Çolak, journalists Nazlı Ilıcak, Ahmet Altan and Mehmet Altan, Professor Osman Özsoy and academics Şükrü Tuğrul Özşengül and Tibet Murad Sanlıman. The list also includes two Twitter trolls, Emre Uslu and Tuncay Opçin.